Youth of the Year 2017. Literacy Champion with Proud Members of Lions. SERVICE CLUB WINS MULTIPLE INTERNATIONAL AWARDS. At the Annual Convention of Lions District 201 Q4 the outstanding achievements of one of the local clubs was acknowledged. The awards for ”Exemplary Total Giving” and “Exemplary Per Member Giving” were signed by Immediate Past International President Joe Preston. 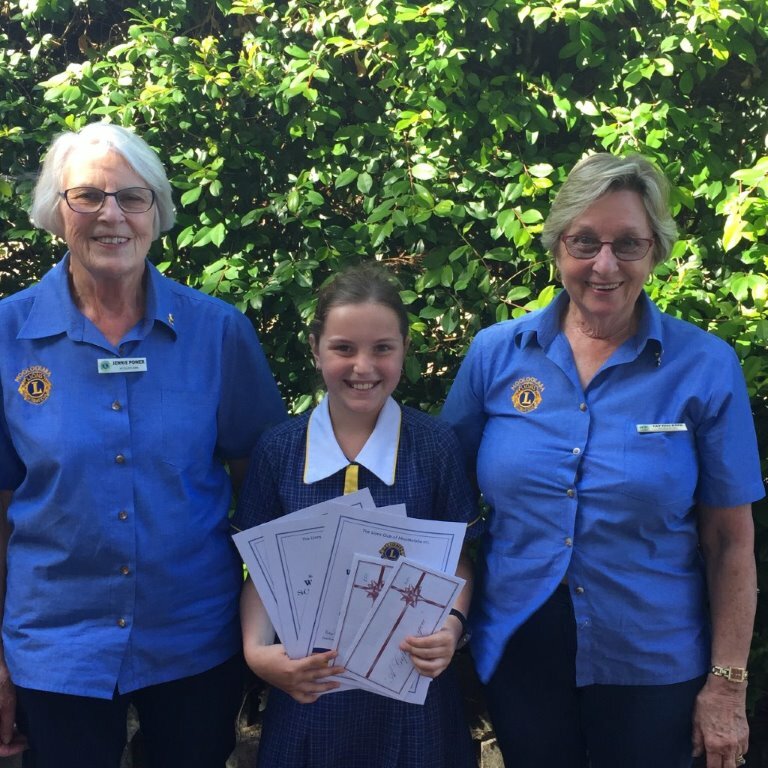 The presentation ceremony was conducted by District Governor Jan Barsby before an assembly of Lions and Lioness members from across this expansive district covering about a quarter of Queensland. The Club received a further award from Lions Clubs International Foundation for its 2015/2016 exceptional record of donations to international humanitarian projects per member. Club Past President Lion Ron Alexander commented that the awards came as a result of the financial assistance that the Mooloolaba club provided to victims of the devastating earthquake in 2016 in the Kathmandu area of Nepal. 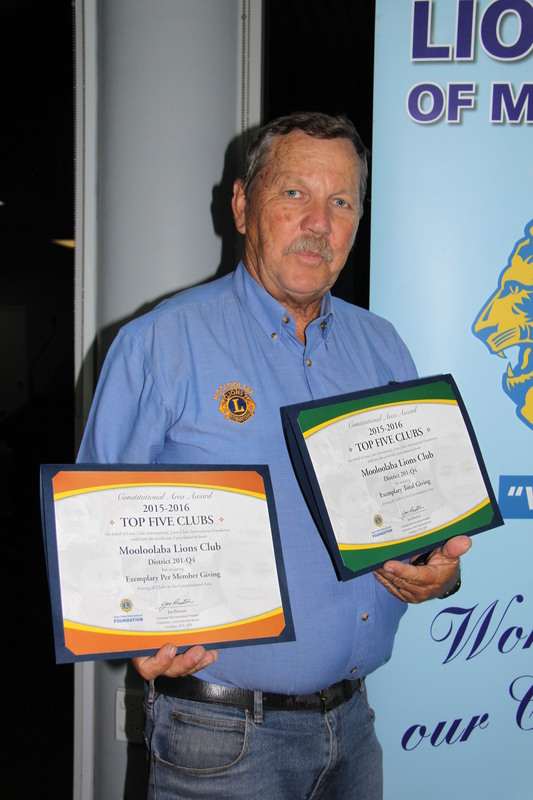 Mr Alexander added that the achievements of the 2015/16 Mooloolaba Lions year were the cumulative efforts of Lions members, Lioness Club members and the support of the junior Lions Club, the Swannies L.E.O. 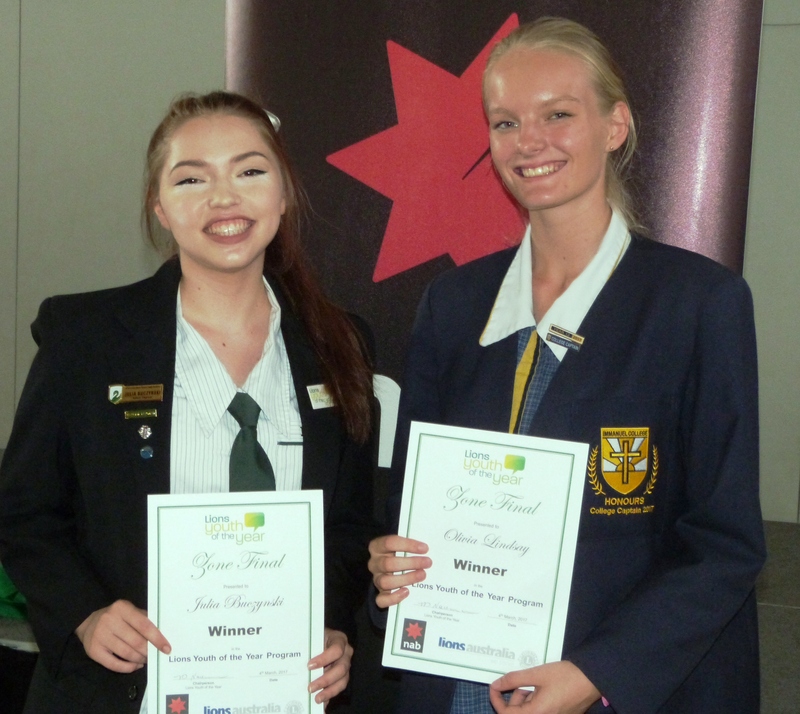 Club, based at Maroochydore State High School. The three groups often work together on fund raising for community service projects. Mooloolaba Lions' main source of income is derived from its voluntary management and operation of the Sunday Fishermans Road Markets. The club acknowledges the loyalty and support of stall holders and shoppers in sustaining this community based facility. Mr Alexander also commented that while assistance to Nepal was substantial, much more was given to home based causes. The largest among these was drought, flood and fire relief in various Australian areas. The Lions Club donated over $120,000 to assist others in less fortunate circumstances and Lions Research programs in the 2015/16 year. As a Club, we are humbled but honoured by these Awards. Congratulations Lions Club of Mooloolaba.